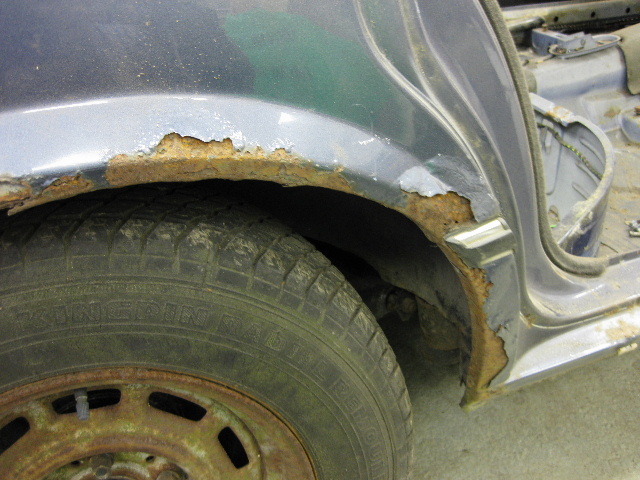 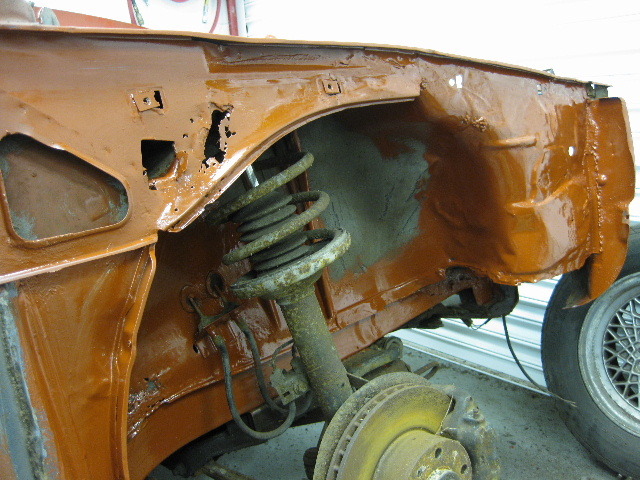 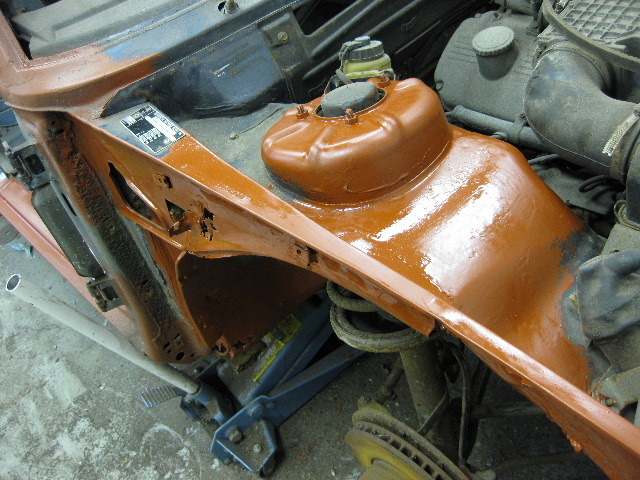 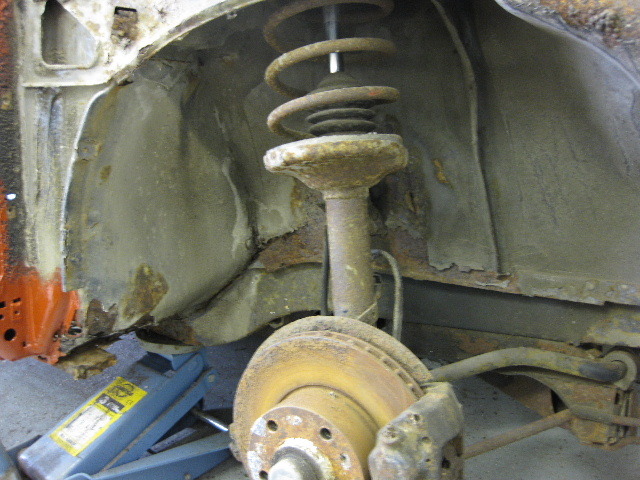 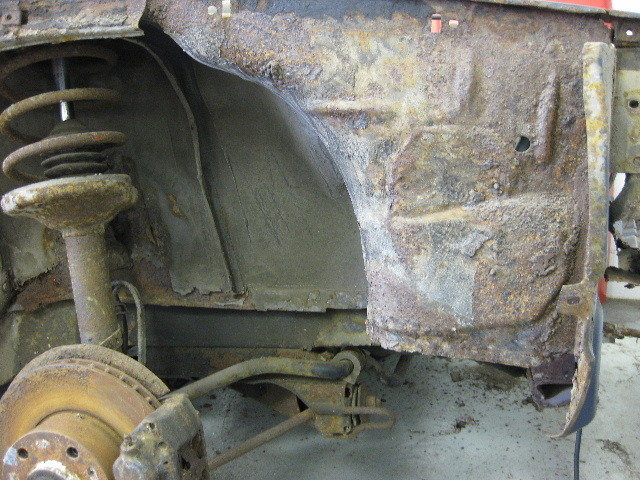 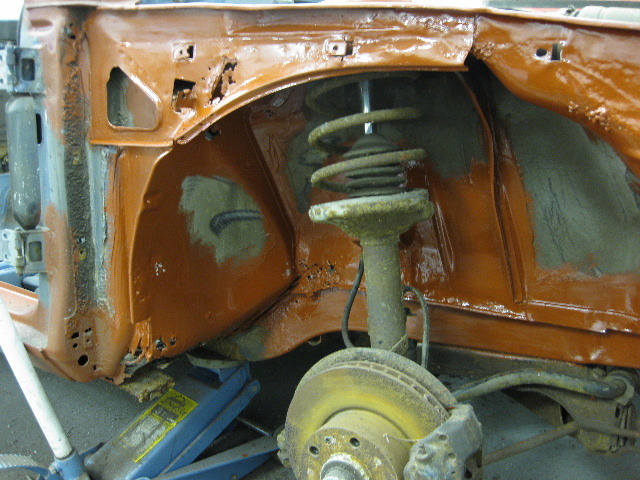 For several reasons I have decided to name this car Project "B"
To date I have not done anything yet apart from give it the once over to decide it fate, the previous owner had started to restore the back axle, so this has been fully stripped and painted, and this time does contain the proper limited slip diff. 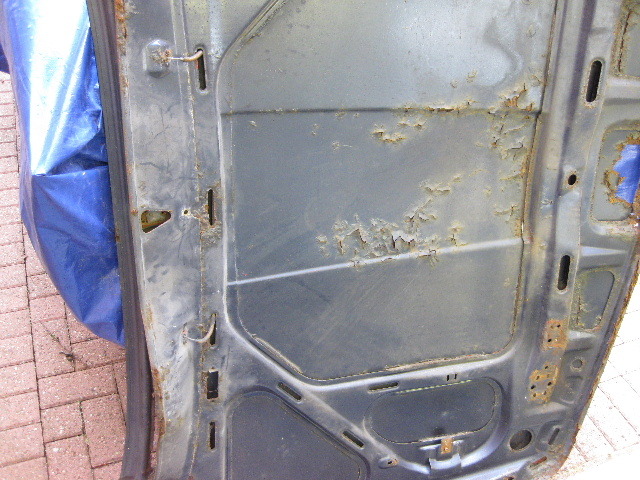 However there is no interior with this car, apart from 3 very tired grey door cards, there is also no front spoiler, also only 2 alloy wheels, one of which has a shattered centre stub and the other has a largish ding in the outer rim, so I will definitely need parts from the silver car, and perhaps some more from my current hoard of parts. 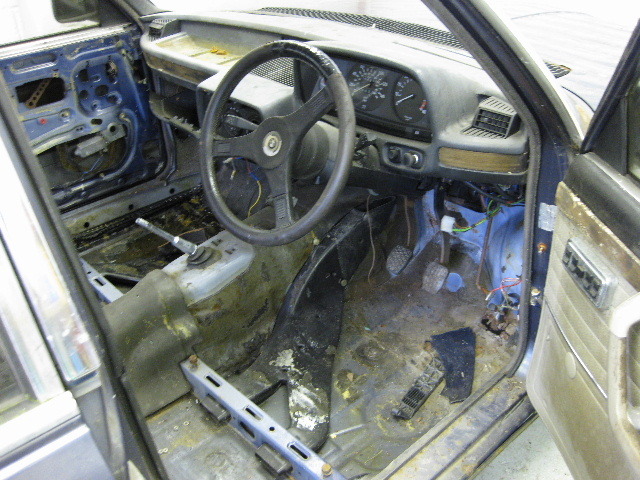 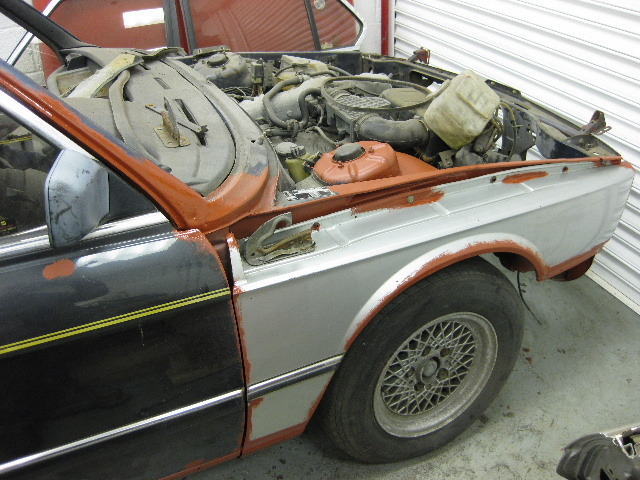 Project B now in the garage, plan is to strip off the rotten and worn out parts and replace with some serviceable parts, before it goes into storage, this will also give me the opportunity to properly assess the condition of the car. 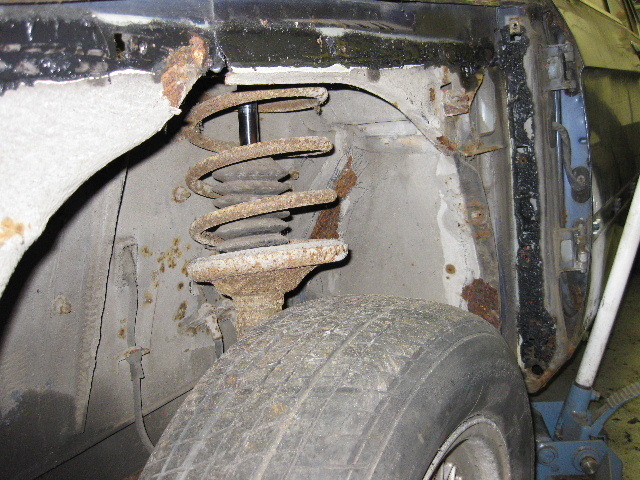 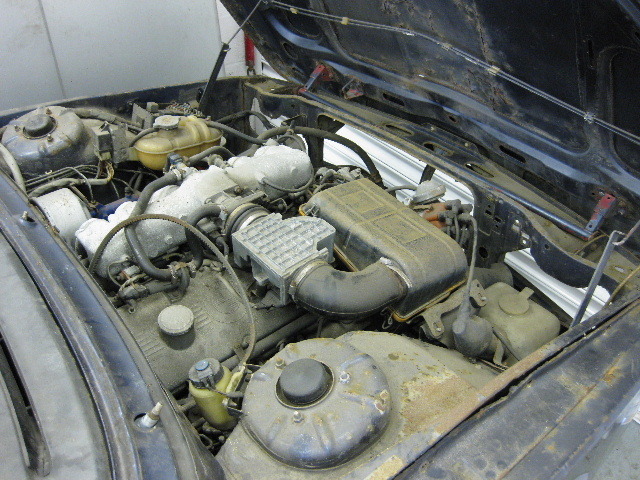 Notice the thin chrome pushrod in the strut, no Bilstein's on this car either, and a closer look at the rear turned up some Monroe Gas Matics. 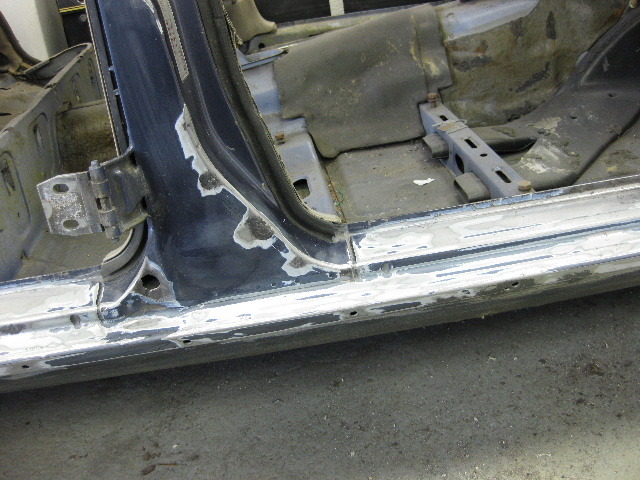 Accident Damage, you can see from both these shots that the front section of the inner wing is very rippled and uneven, yet when you look inside it is nice and smooth, this is because it has been hammered straight and then covered with body filler. 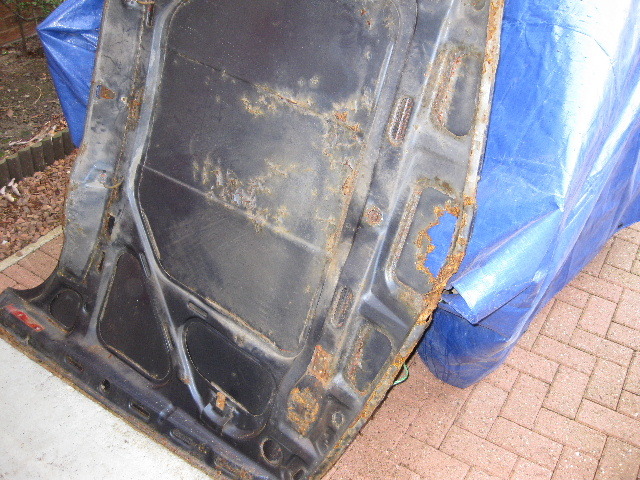 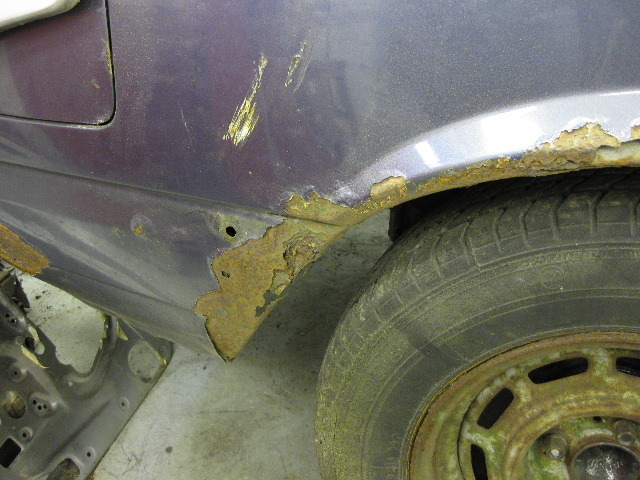 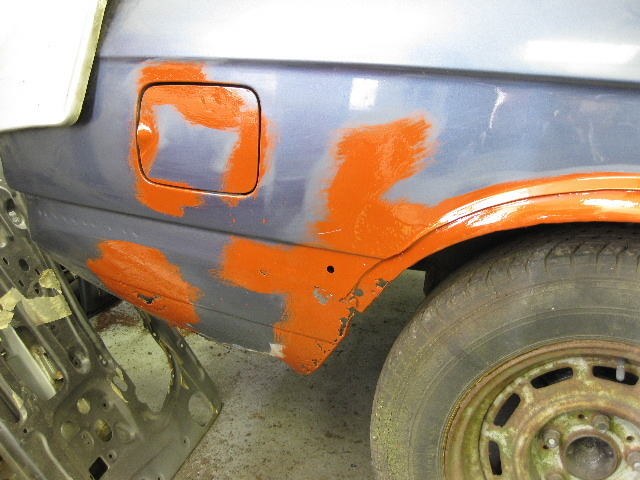 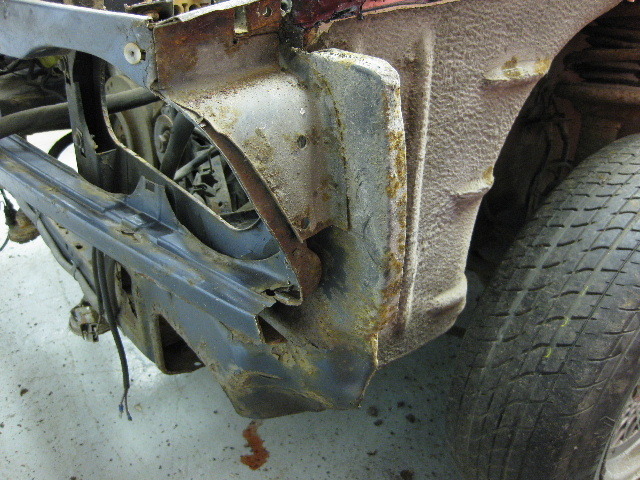 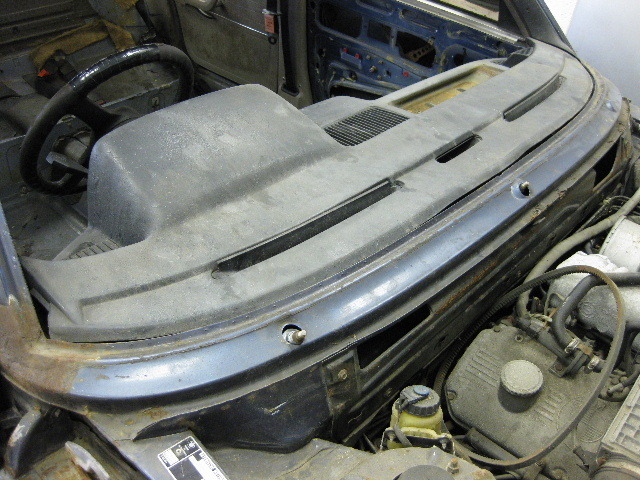 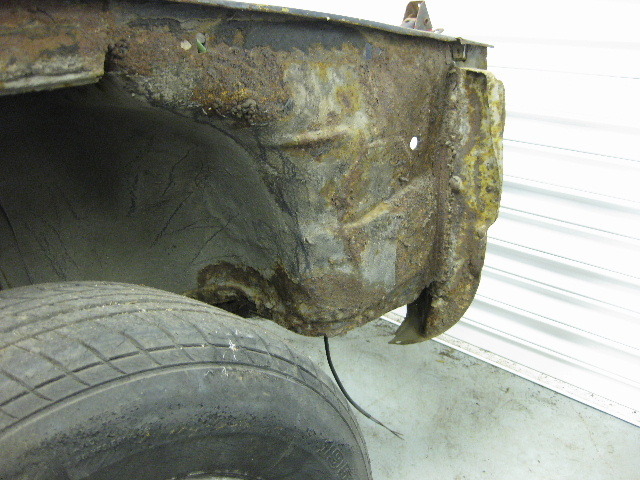 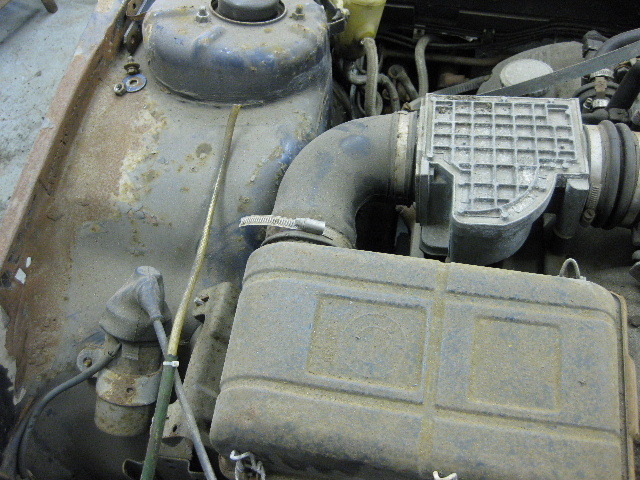 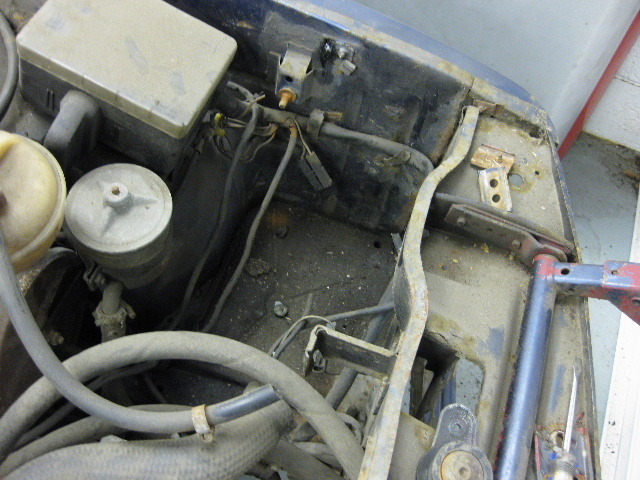 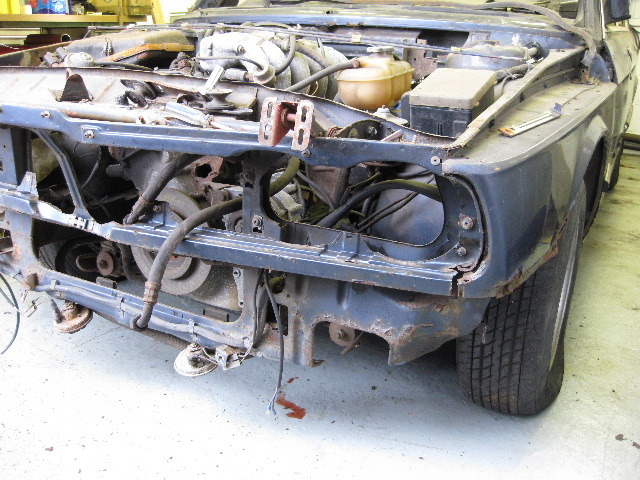 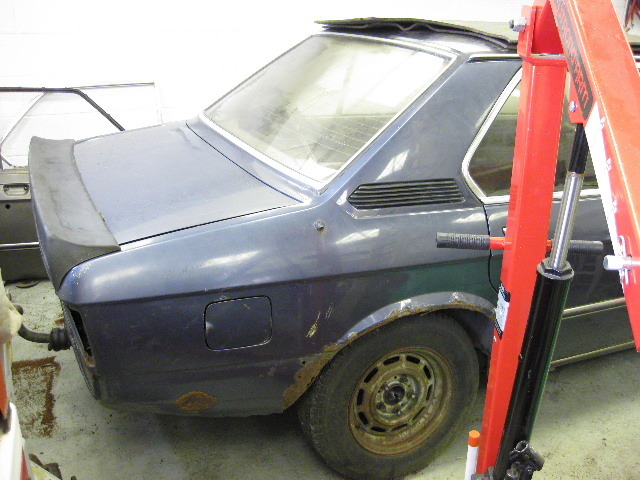 From that I figure that the bonnet, wings and front panel must also have been replaced, but not properly painted and protected on the inside, hence years later they are totally rotten. 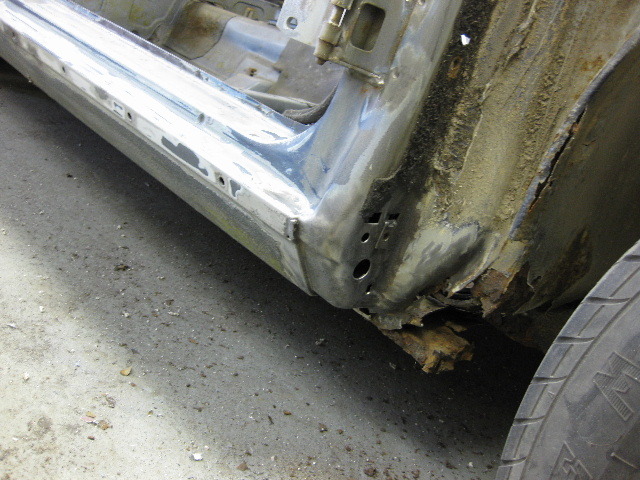 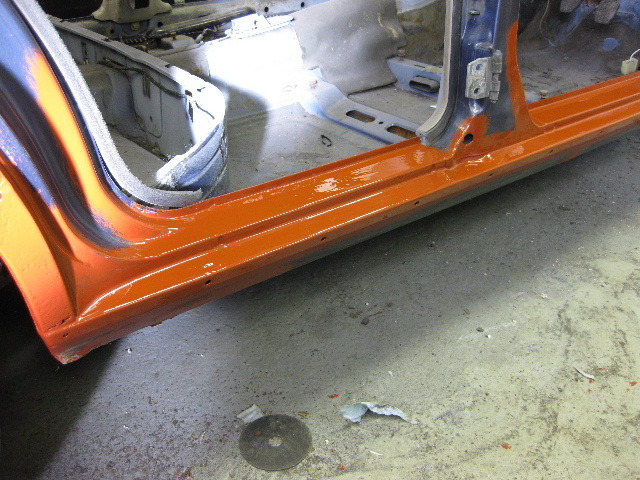 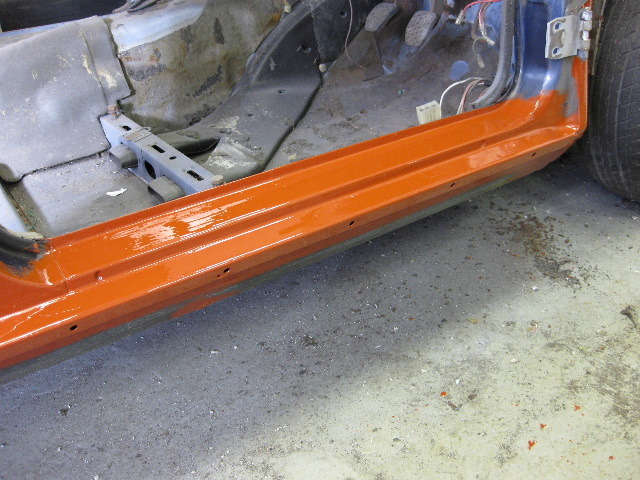 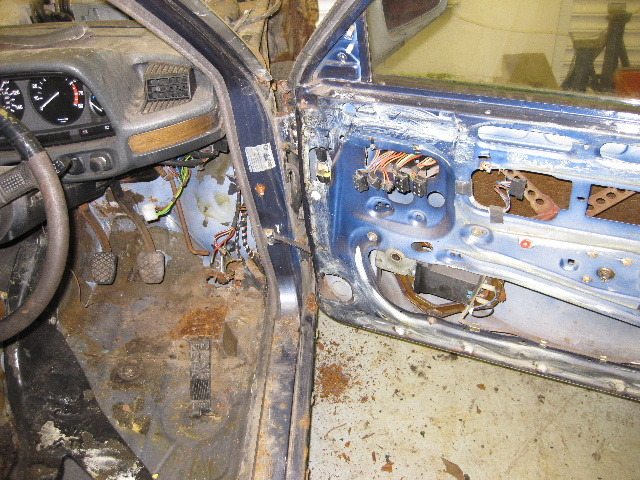 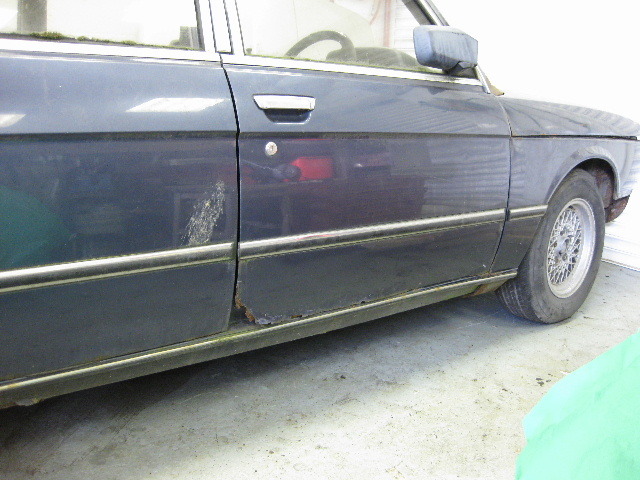 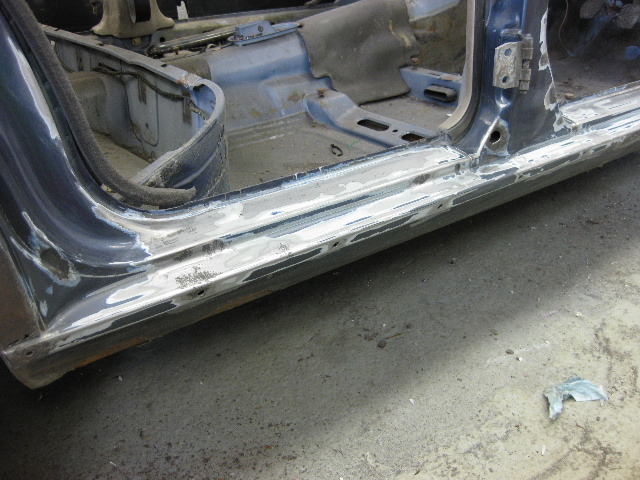 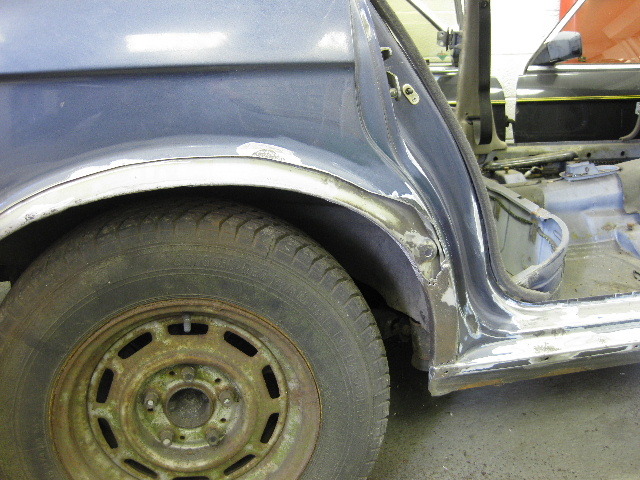 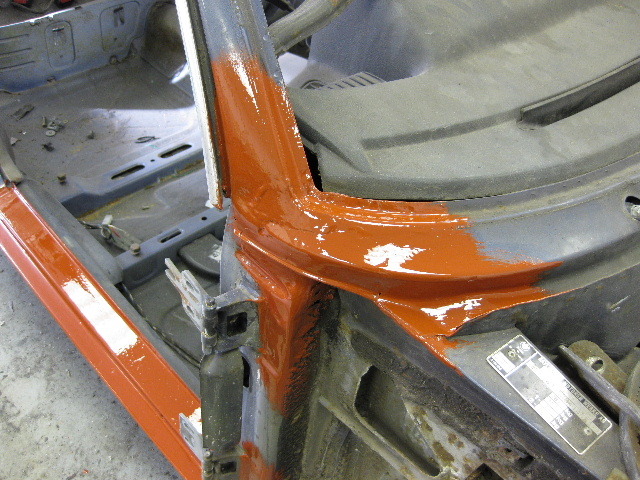 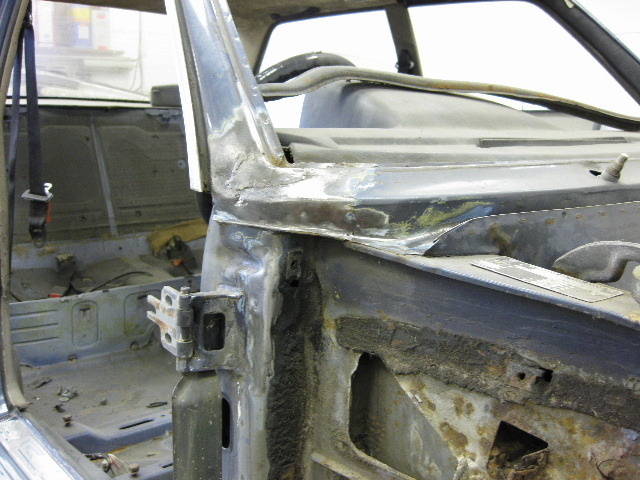 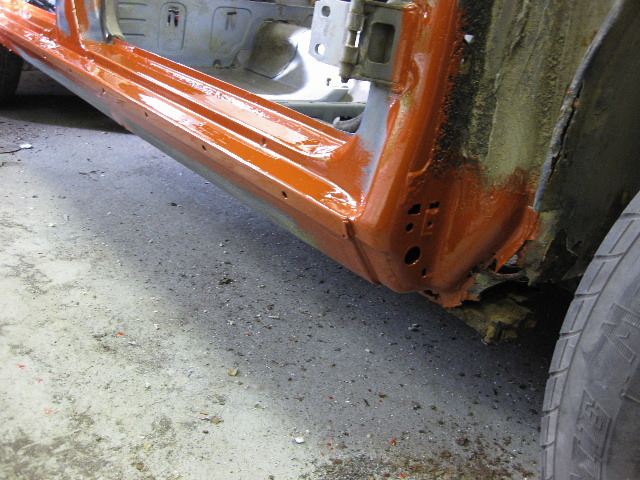 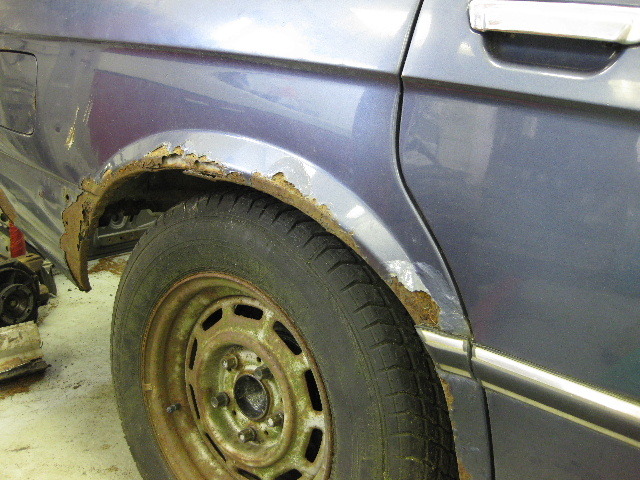 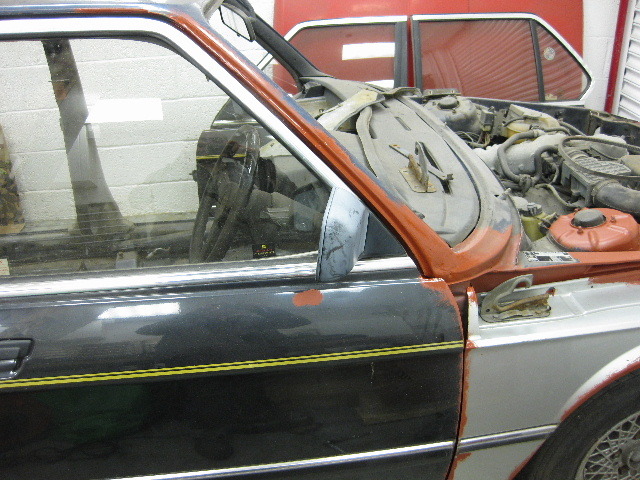 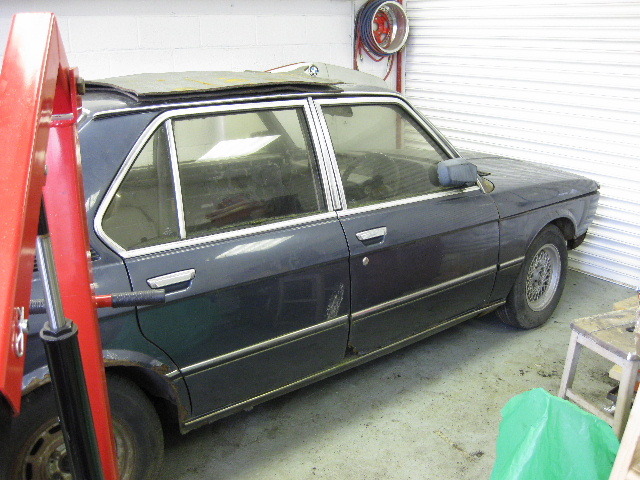 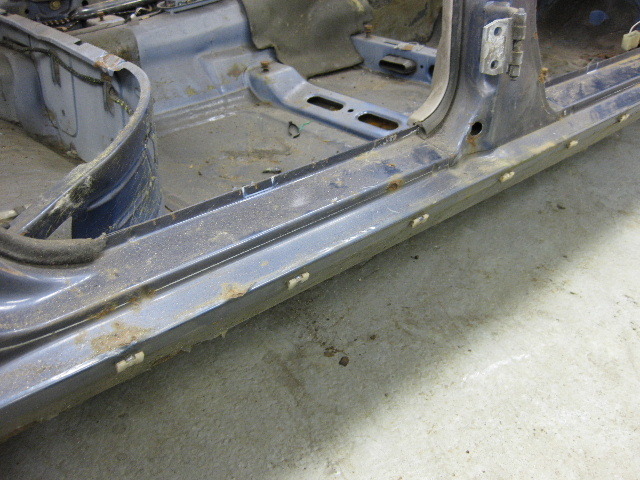 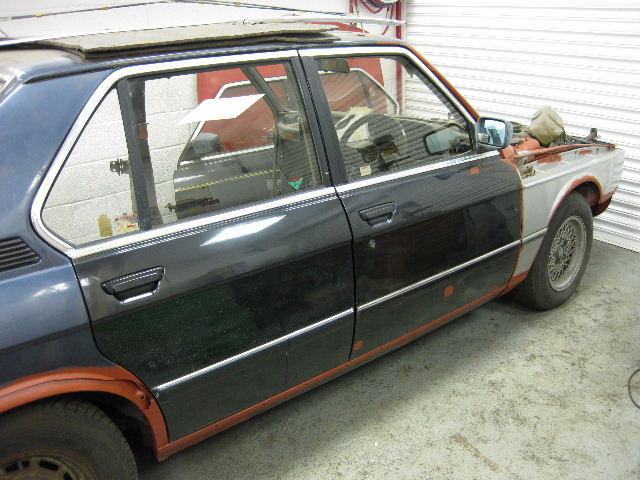 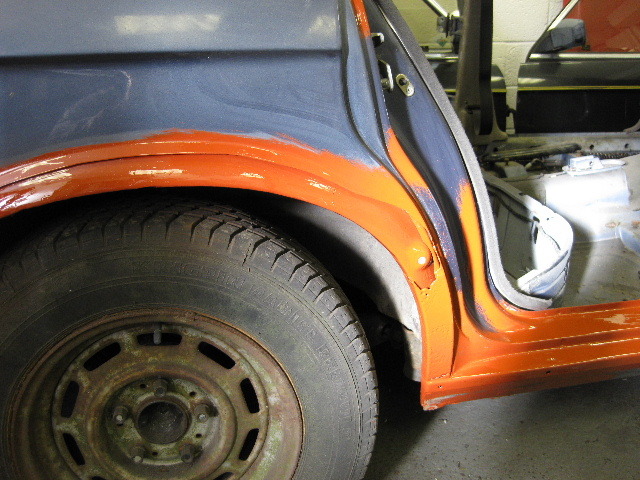 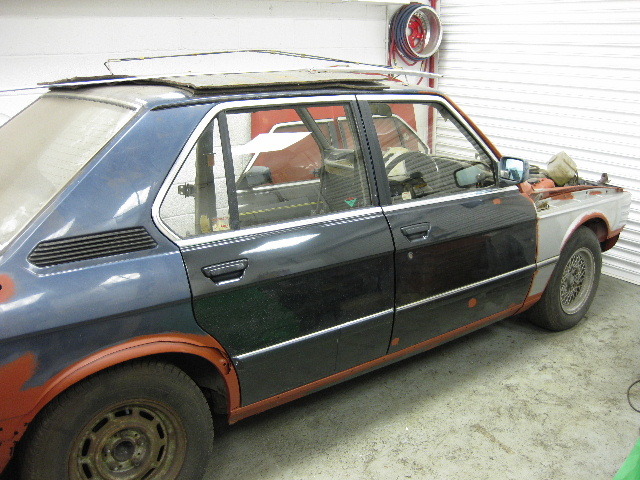 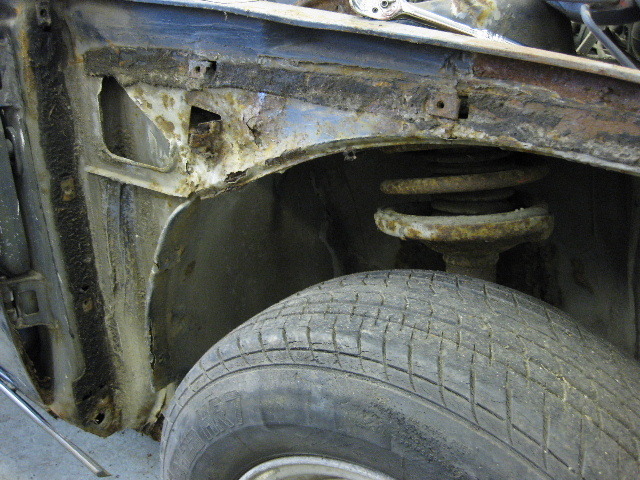 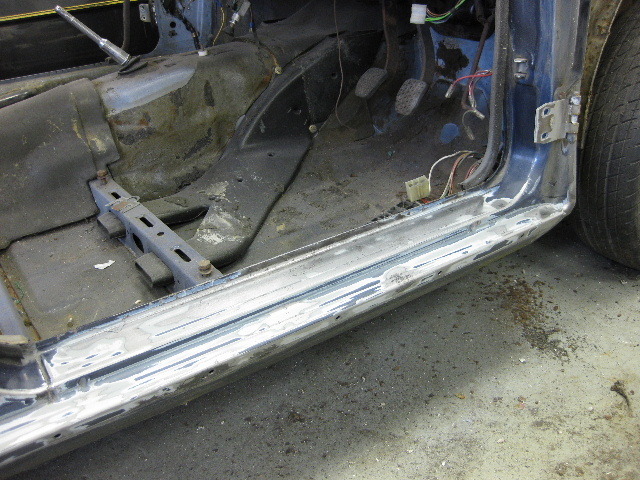 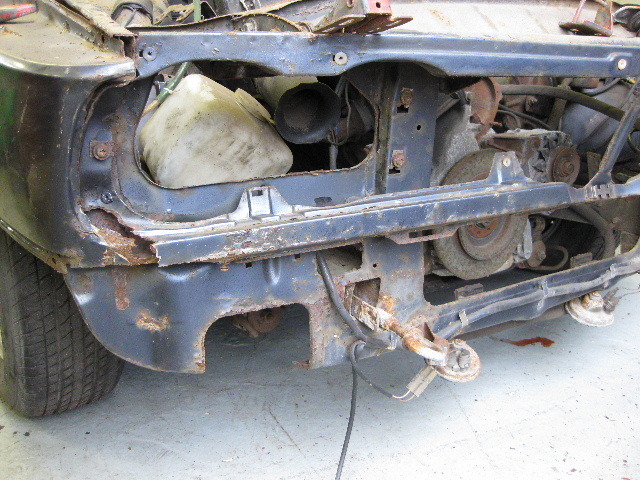 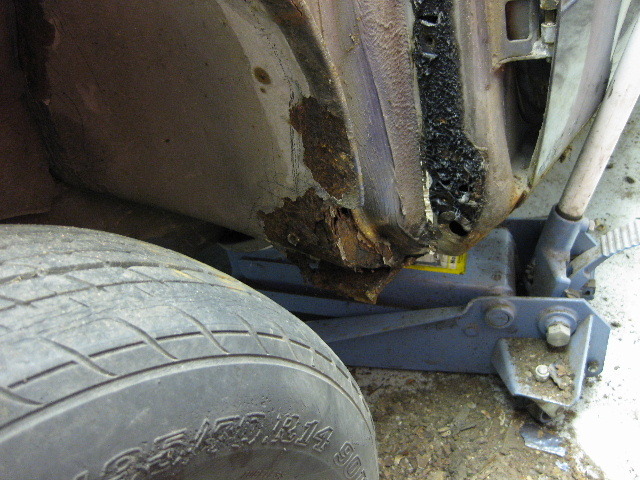 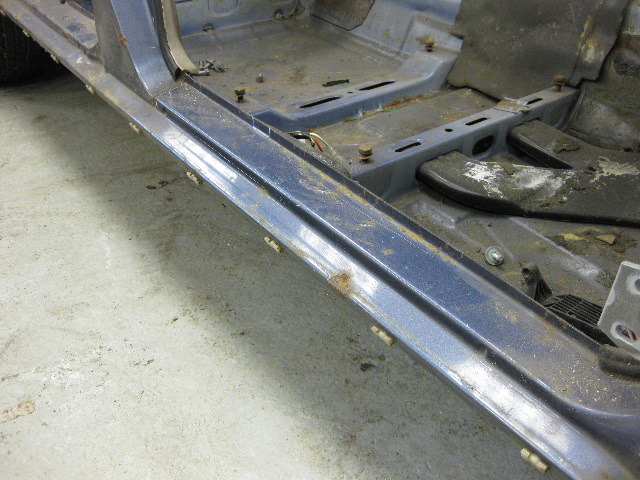 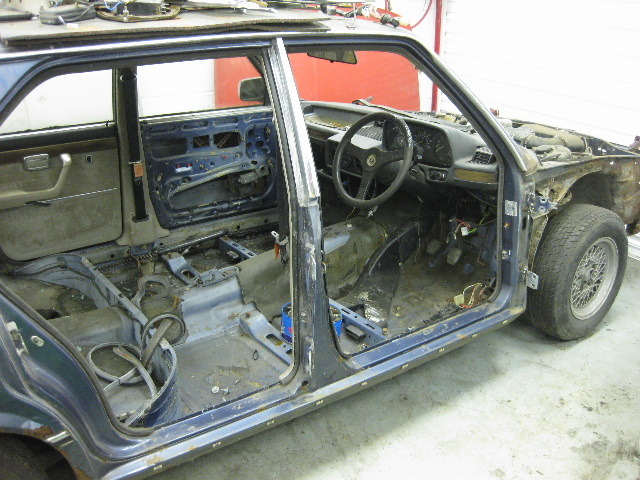 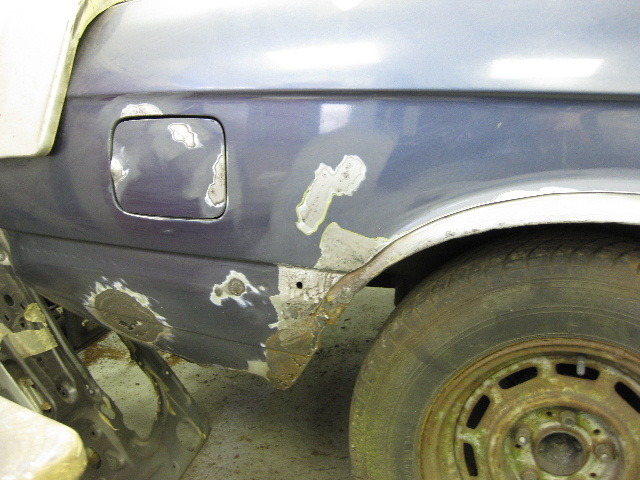 Those are E28 doors, I have done an article about fitting those, as I am often being asked if they will fit.